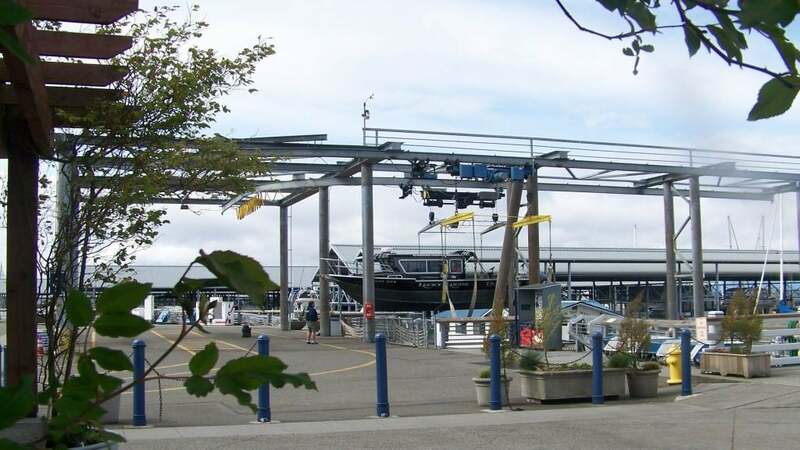 Port of Edmonds operates one of the few public sling launches on Puget Sound. The launch has been newly renovated to handle boats up to 10,000 pounds! Highly trained Port staff launch your boat directly from the trailer without having to back your equipment into saltwater. Ample truck and trailer parking, close to the best fishing in Puget Sound, and extended hours during fish openings. 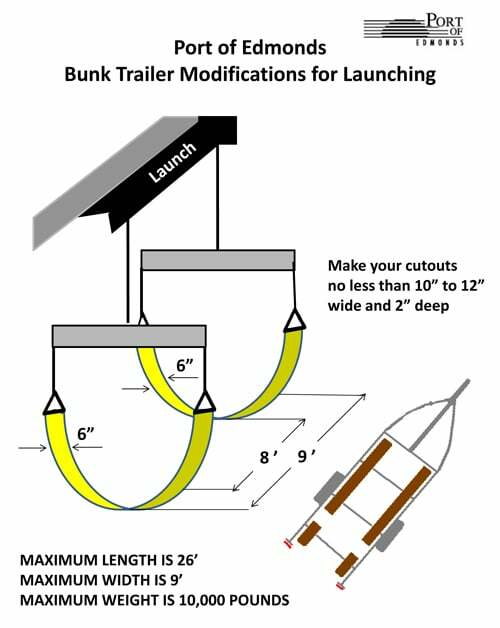 The public launch can handle 10’ to 26’ trailered boats, with a 9’ maximum beam, and 10,000 pounds maximum allowable weight. Calculate your gross weight using the guidelines below. Dry Weight: the manufacturer’s weight without any consumables, passengers, or cargo. Dry weight is when all tanks, fuel, water, and holding tanks have not been filled. Any attachments, the amount or type of fuel in your tank, and water tanks can affect the weight of your boat. The launching experience is easy and convenient! 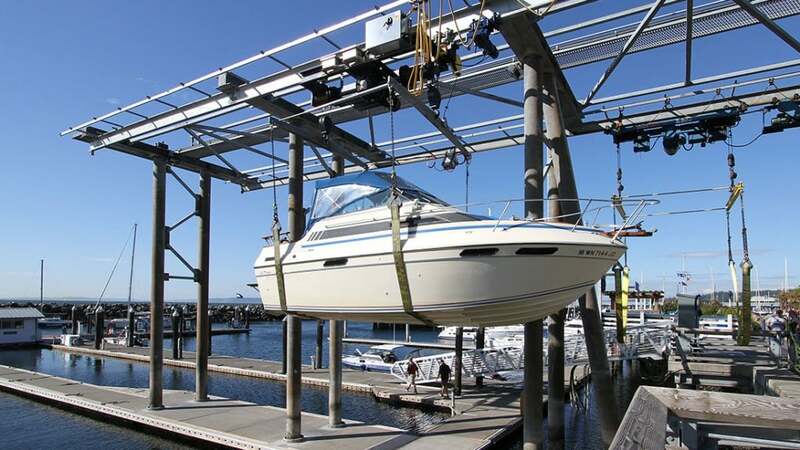 Port staff will place slings under the boat and lift the boat from your trailer. When you return, tie the boat up on the return side of the dock, go get your vehicle/trailer, and pull up to the STOP AREA to notify staff that you are ready to come out of the water. What’s the Difference Between Trailer Types? 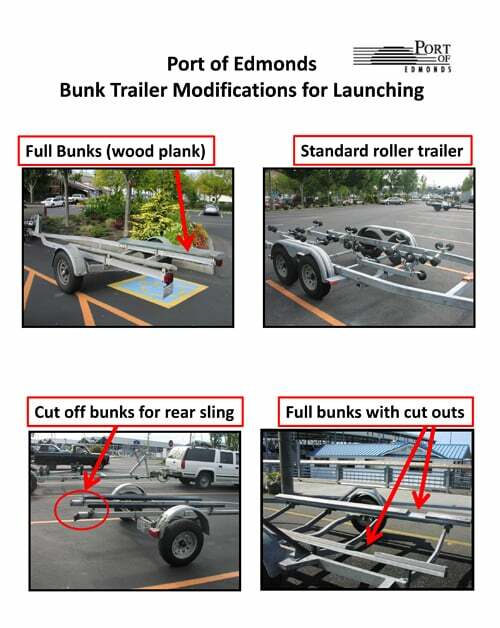 The Port of Edmonds can launch boats from roller trailers, bunk trailers, or modified bunk trailers. The un-modified bunk is a more time consuming process, causing the rate to be slightly higher. How Do I Modify My Bunk Trailer? 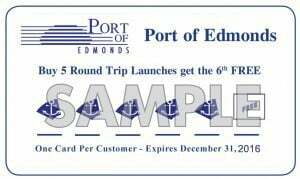 Get a current year Launch Punch card from the Marina Operations office. Receive a 6th launch free with the purchase of 5 round-trip launches!